Our canvas photo prints are created using the highest quality materials. No risk. 100% guaranteed. Need to fill a larger space? Choose from our attractive range of wall displays. Got too many photos to choose from, print them all using out photo collage on Canvas. Multi Panel Canvas Photo Prints are a split style canvas that comes in Diptych, Triptych or Quadriptych. Make you Photos POP, from Warhol to a range of other EYE Popping effects. Create a masterpiece of your own. Panoramas are extremely creative photo canvas that are typically mounted and displayed overhanging your sofa in the living room. Try Unstretched Canvas Artwork from CanvasChamp, we provide all custom sizes. Create your own wood prints from your photos. We make 100% original, sustainable wood prints. Create a unique contemporary piece of Art by printing your digital photo on Aluminium. Modern and Sleek , Our Acrylic prints are awe inspiring. 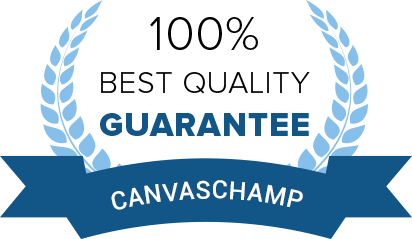 CanvasChamp special. Feel like a chef every time you prepare a meal! Customized glass cutting boards will make your kitchen look more professional. Long lasting alternative way to display your photos. Photo etched directly on wood. Guaranteed to liven up any room. Make Your Walls Beautiful CanvasChamp now offers a variety of peel and stick products. Every Photo Tells A Story Get The Right Framed Photo Print For You. High quality Emoji Canvas Print by independent artists and designers from around the world. Simply designing and implementing offers isn’t all. Spread it to your audience wisely with Cheap Poster Prints. Sip in your favorite coffee dipped into your best pictures. Magic mugs make a terrific surprise gift. Promote your brand with personalized and custom designed magic mugs online. Put your favorite image or quote on a 14oz rugged coffee mug made from durable aluminium. Impress your guests with one of a kind, high quality beer mugs. Made from frosted glass or white ceramics with a subtle gold trim. With our custom-printed canvas ornaments, you can take your decorating game to a whole new level. Decorate your holiday tree with one-of-a-kind custom metal ornaments that are eco-friendly and made from recycled aluminium. Makes a fun gift for family, friends and co-workers. Our ornaments are printed on one side, and come in various shapes. Charming and quaint, these wood ornaments will give your holidays a touch of nostalgia. Brighten Your Work Space or Home with your Special moments on Photo Calendars. 100% satisfaction guarantee! Customize with special events and never forget a date. For home or office, keep your special moments with you. A charming personalized accent for any room. It’s fun to design these water bottles made from sturdy aluminum. Comes in silver or white, and ships with two lids for easier use. Make your own custom-themed mousepads for both office and home to give your workstation a touch of comfort and levity. Used for taking notes in school, writing essays and poems, sketching, absentmindedly doodling to relieve boredom. With acrylic blocks, your photos will be encased in an elegant hand polished crystal clear free-standing display. Get started selling phone cases, one of our most popular products. You’ve come to the right place for customized canvas banners. create excitement about fairs, festivals or your business. A list of all the beautiful places you love, you wish for. The soft fleece is 100% polyester and easy to care for. Design a blanket as detailed or simple as you like, it adds a little texture to your living space. Wrap up in your favorite memory when its a little chilly in your home. These silky-soft fleece sherpa blankets are even warmer than they look. Home is where your woven blanket is. Treat yourself to a unique blanket with a loom pattern made from your photo. This sherpa lined baby blanket is super soft and luxurious! The sherpa backing looks and feels like a teddy bear. Nothing says home comfort better than a custom printed duvet cover. Need a fill a larger space? Choose from out attractive range of wall displays and transform a wall into a lifetime of memories. Create a stunning 3 panel wall display using your favorite photos. Choose from decorative multi-canvas layouts! Wall art for every style. Create a stunning 4 panel wall display using your favorite photos. Create 5 multi panel canvas wall displays to make your walls beautiful. Select your favorite 7 canvas wall display layout & fill your empty walls with beauty and elegance. We print your photos on best quality canvas which is gallery wrapped around a 1.5" or 0.75" wooden stretcher frame. Craft a custom framed photo prints for a unique home decor accent. Upload your photos and create a custom work of art today! Decorate your table with the set of 6 photo coasters. Our custom wall tapestries are the best way to cover an entire wall with your photos or designs. Our cozy dog beds that can be customized with their photos or any design you choose. They are printed and then sewn so that the printed image is edge-to-edge seamlessly applied with no creases or voids in the image. Order original metal magnets with photos of your loved ones, or any other themes you want to show off. These pet bowls have a print area that fully wraps the entire bowl. A customized puzzle is a perfect gift, with the image printed on both the puzzle and the tin, will make their jaws drop! Hanging canvas wall art brings a clean, natural touch to your décor. We have the best prices, period. Bring an extra smile to your day with a photo mug. All our mugs are made of sturdy, dishwasher-safe ceramic and feature a wrap-around panoramic print. Magic photo mug in black reveals custom-designed image in color when filled with hot beverage. Our custom 3D printing process delivers a crisp 3D image that seems to float in the modern black frame that goes with any décor. SPRING SALE - UPTO 93% OFF ON CANVAS PRINTS + FREE SHIPPING OVER $69 | LOWEST PRICE GUARANTEED! Use COUPON CODE: BOSSBOGO to avail the offer. Buy 1 Get 1 Free will be applicable on all products excluding special sizes 5"x7", 7"x5", 8"x8" of Canvas Prints & Accessories Products. Offer Expires in 48 Hours Only! Offers will work on base price only & not applicable on special sizes 5"x7", 7"x5", 8"x8" of Canvas Prints & Accessories Products. Price will be discounted at checkout automatically after applying the coupon code. Offer can be availed multiple times although coupon code can be applied only once for one order. Offer is not valid on previous purchases or cannot be combined with any other offer. Contact Us at cs@canvaschamp.com for any query regarding placing an order. you can simply send us an email on cs@canvaschamp.com with your details after which we will approve your request. Interested in buying Canvas prints at a wholesale rate? You have landed at the right place. We provide bulk discount on top of our excellent pricing to all of our wholesale resellers and buyers. The discount range is 15% to 30% off on the whole order. Along with this, we will also be providing free shipping for some of the orders that qualify. In order to apply for this wholesale benefit, you can simply send us an email on cs@canvaschamp.com with your details after which we will approve your request. During the course of time that we have been in business, we have gotten the opportunity to work with numerous wholesalers, resellers and photographers. This is mostly because we have a worldwide presence and thus we have the ability to fulfill all your needs, either domestically or internationally. With our services, you can get your credits with a coupon code, which we will provide you and it will be specific to your business upon approval. All you have to do is simply concentrate on the marketing aspect of business and leave the production aspect to us. We have the best products in the industry; since we run huge manufacturing facilities we purchase a lot in bulk and happily pass on savings to our customers. 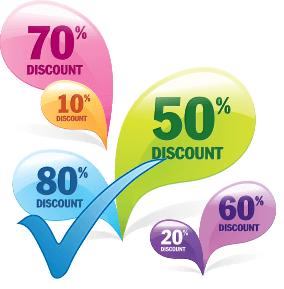 We live by our best price guarantee and are so confident of it that if you find a better published price, we will match it and give an additional 10% off on it. They generally depend on order volumes and quantities but ranges from 15% - 30% off on our published pricing. 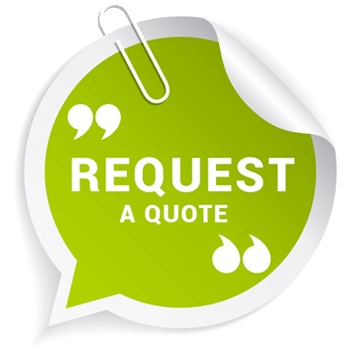 Do get in touch with us if you are looking to re-sell or get a quote for a quantity purchase. 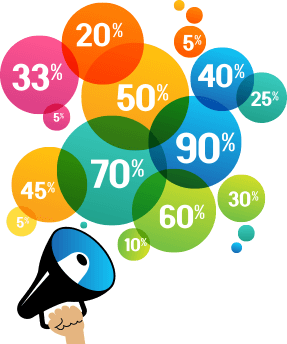 The highest ranges of discounts are for bigger quantities order shipping to single location rather than different locations. All prints sold to resellers and photographers also come backed with our 100% satisfaction guarantee. If you or your customers do not like the print you can return it and have your purchase replaced or refunded with no questions asked policy. Sit back relax and be confident of your purchase. Am I Eligible to get Wholesale Canvas Printing at Discounted Price? We offer a flat fee shipping of $12.99 for orders totalling to less than $69 and 10% of order value for orders above that. Although for high quantities, we might be able to waive off shipping charges in full. Please get in touch with us to avail the offer. 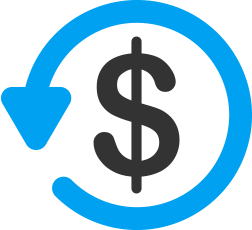 We provide a 100% money back guarantee within 30 days for prints that have been ordered through us. Therefore, in case you have any issues with our products within 30 days of having placed your order, then we will work with you to ensure that either your order is replaced or you get a complete refund. In case you want to make a return or ask for a replacement after the 30 days, then we can still assist you. We will provide you with replacement options or a partial credit. You can contact our customer services to inquire further about our refund or replacement services. Turn your photos to canvas with CanvasChamp. Our photos on canvas are great for decorating your home or office and perfect as photo gifts! With our easy to use canvas prints designer, you can turn your very own image into a stunning work of art on canvas! What is Canvas Print ?